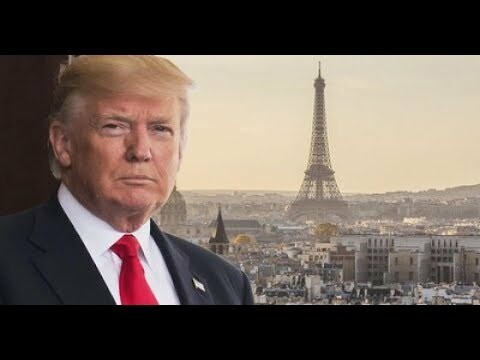 President Donald Trump and First Lady Melania Trump arrive in Paris Thursday morning where they will take a tour, meet with dignitaries and have dinner with the President and First Lady of France. The president and first lady will go to the U.S. Embassy where President Trump will hold meetings and have lunch with U.S. military leaders. The first couple will then head to L’Hotel des Invalides where they will participate in an arrival ceremony and take a tour. In the evening, the president and first lady will dine with President Emmanuel Macron and his wife at Lyse Palace. 10:45 PM // 4:45 PM The president and first lady arrive at their overnight accommodations.